The 10 custom townhomes of Bayview Terrace have been designed so their owners never have to compromise, culminating into everything a modern home should be. Located just blocks from the heart of Ocean Park, Bayview Terrace enjoys the natural beauty and comfort of a small town with the amenities of a big city, just minutes away. This prime location also yields views of the Pacific Ocean and Mt. Baker. These beautiful homes are perfect for those who still like to entertain but don’t want the maintenance, or those who would rather spend their weekend playing tennis than doing yard work. With 2,500 square feet of space, including three bedrooms, three full bathrooms, and vaulted ceilings, Bayview Terrace has the expansiveness of a single family home without the upkeep. 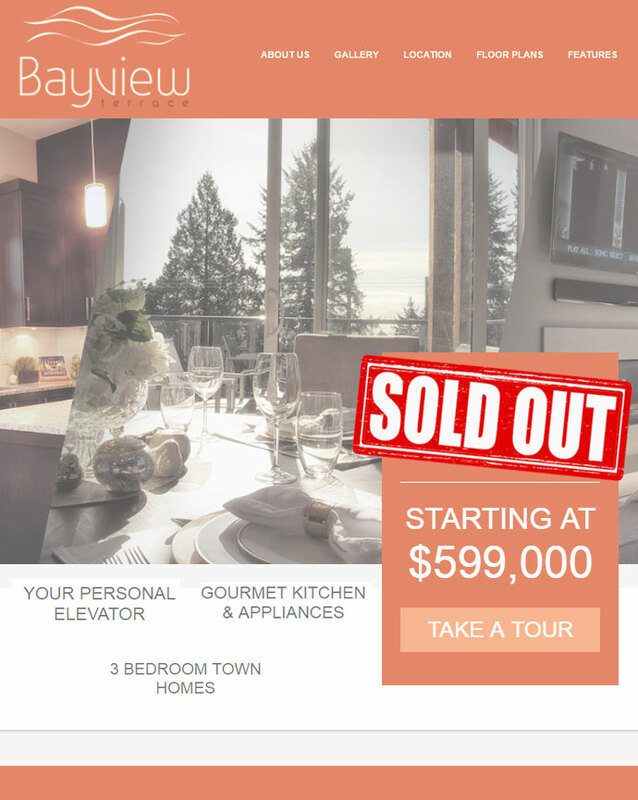 Bayview Terrace also boasts the latest in household features including private elevators, modern finishings and appliances, as well as eco-friendly design.